It is always great fun to hang out with the team from GDU at drone tradeshows. They bring great machines to the show floor and have some truly innovative ideas that keep us excited. Their main machine has multiple variants and their latest is a first of a kind on the consumer market. Not much more to say without introducing the drones – here is our quick GDU drones guide. 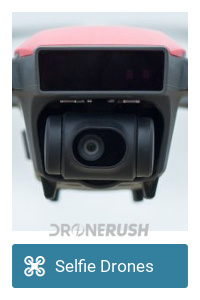 Have you ever heard of the drone manufacturer ProDrone? They’re a big player in the Chinese market developing some big drones. We walked up to one at InterDrone 2017 that was near four feet tall and had big robotic arms. It was fascinating, unless you fear the machines taking over, then it was pretty formidable. 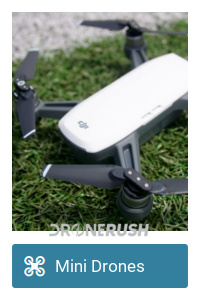 GDU used to be called ProDrone back when they launched their first Byrd folding quadcopter. They are a lifestyle company as much as a drone manufacturer now, but that ‘other stuff’ seems to have tamed down, their compact, folding drone was nearly the only thing on display at InterDrone and still their prominent piece at CES 2018. The white drone that started it all off. Also, one of the first consumer drones that folded down for transport. This is the base design still being built today for the line. It’s a pretty simple quadcopter design where the arms fold into the side of the drone. many drones dropped their arms straight down, which helps, but the full compact nature of the Byrd has been adopted by many moving forward. Check out the GDU Byrd Standard for $749 on Amazon, when available. Stepping things up, the GDU Byrd Advanced trades a bod color from white to this new soft black color. Upgraded systems do everything just a little better and the GoPro gimbal enables more options for video from the sky. We first put hands on the Byrd Standard at CES 2016, but didn’t fly a GDU product until this Byrd Premium 1.0. The experience was exhilarating. This is one powerful machine, not to mention the Byrd line is a large frame quadcopter, creating a smile-inducing experience every time to tap that throttle. Large and powerful enough to haul a small DSLR into the air, yet still folds down to fit in a backpack. It’s the best of both worlds in terms of capabilities and portability. Check out the GDU Byrd Premium 1.0 for $999. Also unavailable at this time. Take all the best that the Byrd Premium 1.0 has to offer and add in far better connectivity and range, that is the short description of the Byrd Premium 2.0. The machines get about 29 minutes of flight and can haul all sorts of payloads, including a large selection of modular cameras from GDU. The earlier Byrds relied on WiFi connectivity, where the Byrd Premium steps up to more capable RC connectivity. This is a necessary measure for longer flights. Check out the GDU Byrd Premium 2.0 for $1049 today. 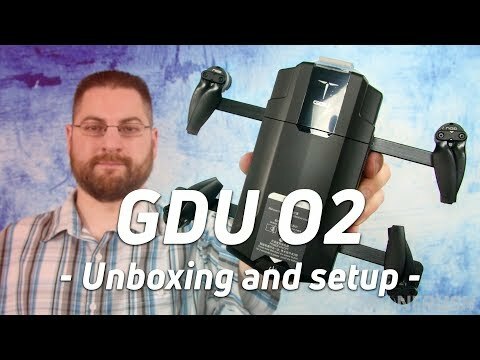 Announced at InterDrone 2017, the new GDU O2 is a compact machine that is like nothing from GDU before. Instead of a large quadcopter that folds, we’re looking at a small quadcopter that slides the propeller arms into its body for transport. Better yet, the remote control snaps to the drone, protecting the joysticks, antennas and of course the propellers and 3-axis camera and gimbal on the drone. 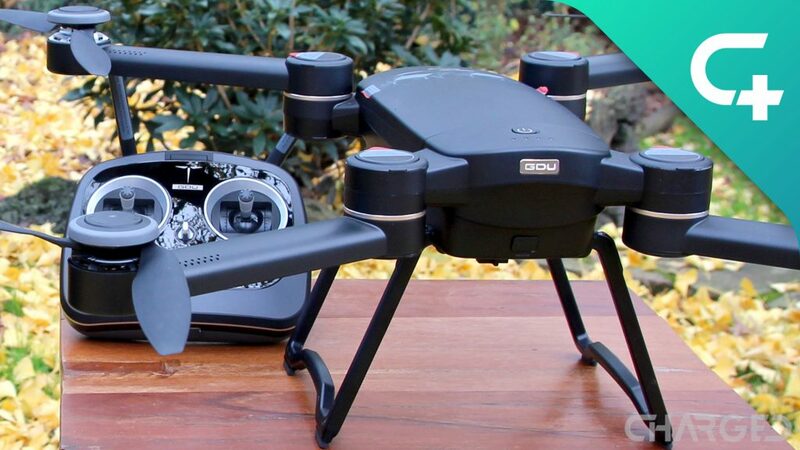 We’re reserving full judgment until we spend some time with a review unit, but the GDU O2 could very well be the most portable drone we’ve ever laid hands on. The GDU O2 is $732. Update: GDU Has explained that the O2 started shipping in 2018, there was a little hiccup in the design they wanted to perfect before sending out the machines. We had a good chat with GDU at CES 2019, they had the new O2 Plus on hand for us to check out. As originally expected and promised, the original O2 offers up to 1 KM of range, the O2 Plus enables HD video streaming up to 7 KM. The extended range makes for a more reliable connection in close range as well. In addition, and perhaps more important, they made some adjustments to the camera gimbal to improve stabilization. Also, the GDU O2 Plus has double the amount of internal storage over the original O2, that’s now 32GB of space for your photos and video from the sky. 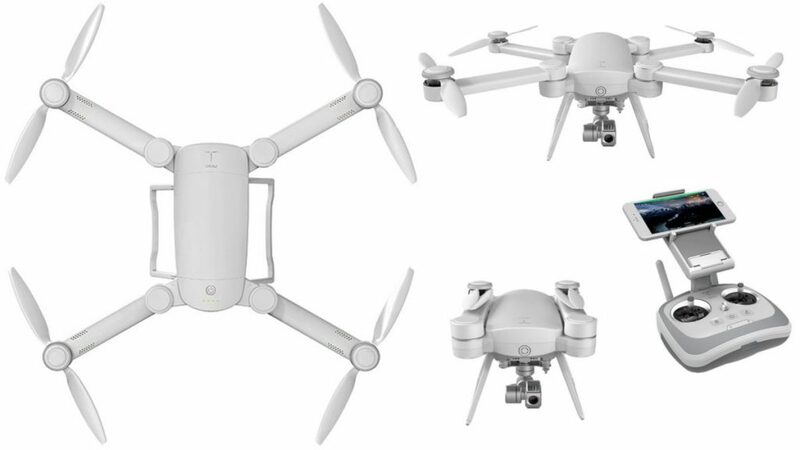 We are still awaiting info on the sales and shipping dates, but the drone exists. CES 2019 was an exciting time for GDU. They made the O2 Plus official and announced their new commercial platform, the new GDU SAGA. They started with the Byrd platform and revamped almost everything. It would have been a mistake to abandon the folding design of the Byrd, good on GDU for keeping that. 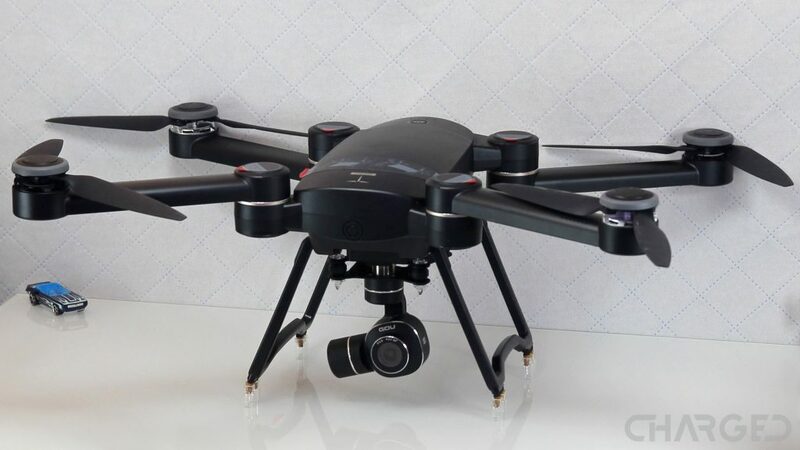 The very best of their connectivity and navigation systems are included, but the new array of payloads is the power of this new drone. You can choose between an infrared camera, normal 4K camera, 10x zoom camera, 30x zoom camera, a loud speaker, spotlight and a gas meter. We got to see the SAGA fly in a tiny cage at CES, we hope we can see more of it soon so we can tell you all about it. Up until the release of the GDU O2, we had unfairly summed up GDU as filling just one segment of the drone market. The Byrd line is robust and offers many capabilities, but it is a large and powerful drone, not ideal for a simple flight in the park or as a hiking companion. The O2 launched GDU into a new space, one that only an elite few live in right now. Portability in a small and light package with minimal compromise in camera quality. We’ve said this before, and we’ll say it again, If you want something small and fun that does okay for video, check out the DJI Spark for about $500. 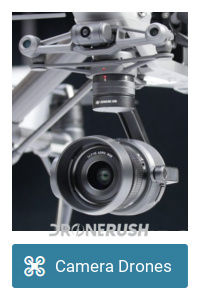 If you want step up to a great camera on a 3-axis gimbal and some of the best flight characteristics of a consumer drone on the market today, grab the DJI Mavic Pro for about $1000. If you want something that sufficiently sits in between the two, offering a 3-axis gimbal and great portability, the GDU O2 is here. We’re excited for the GDU O2. We hope you are too. Stay tuned for more coverage, we should have a unit in hand soon. In the mean time, don’t forget that the Byrd drone is a highly capable machine for larger operations.